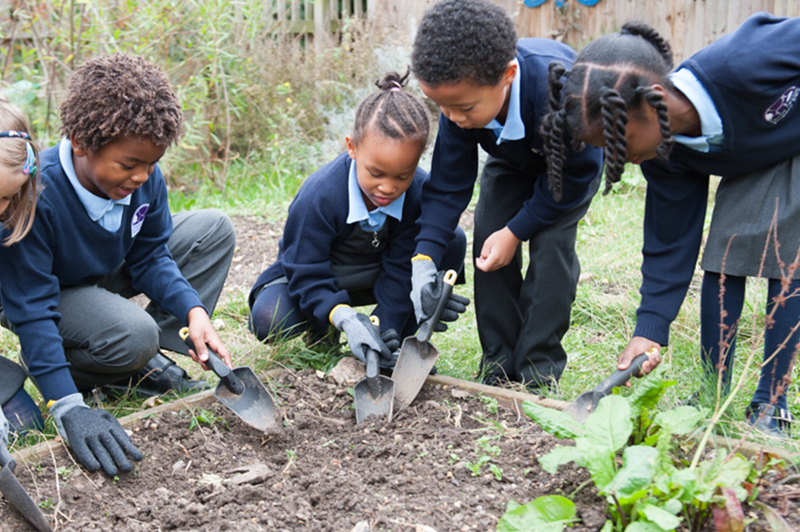 Our outdoor learning curriculum offers a variety of sessions to all classes from Nursery to Year 6. We are incredibly fortunate to have an enclosed area with several trees and a fire circle, where children can experience Forest School sessions, including the very popular toasted marshmallows. We keep chickens, ducks, and guinea pigs, which the children love. We also have a vegetable garden where children learn how to grow, care for, and harvest several yummy plants. There is always a lot of work to do and volunteers are welcome to help out.